KidStart Magazine > Saving Tips > Save for your child > Kids Go Free – Chessington Resort – Come face to face with the Gruffalo! 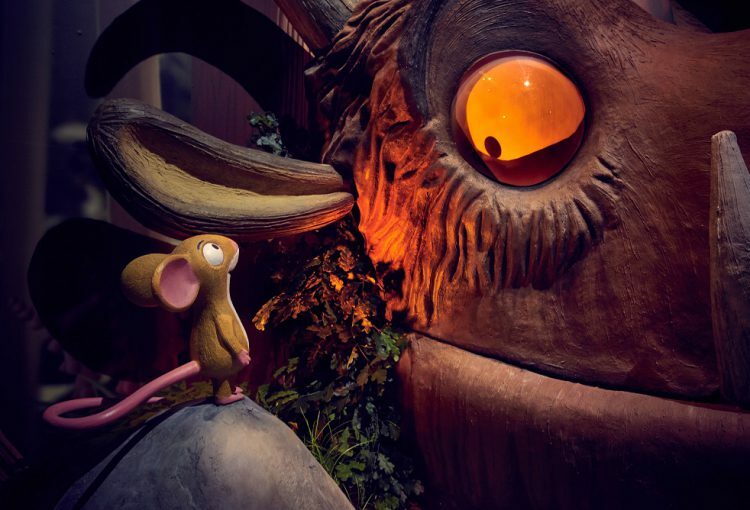 Kids Go Free – Chessington Resort – Come face to face with the Gruffalo! We’ve got great news here at KidStart: We’ve teamed up with Chessington World of Adventures Resort and from today all our members can claim a child ticket for free! To celebrate the opening of the all new Gruffalo River Ride Adventure KidStart have a new promotion: Kids Go Free – Chessington World of Adventures Resort! We are really pleased to be able to offer every KidStart member the opportunity to claim a free child ticket for each adult ticket they buy*. To avoid disappointment – BOOK NOW! The Gruffalo River Ride Adventure has landed in the Wild Woods at Chessington World of Adventures Resort. Kids and parents alike will be able to join Mouse on a picturesque riverboat journey through the deep dark wood before coming face to face with the Gruffalo himself and relaxing with a snack as you watch the film in the Gruffalo Arena. 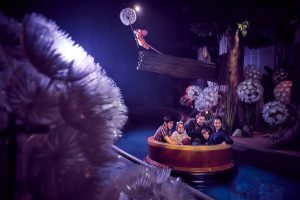 As park-goers float down the lazy river, the story of The Gruffalo will magically unfold in front of their eyes with exciting twists and turns along the way. Come Face to Face with the Gruffalo! You can meet the Gruffalo himself and watch the animated film at The Gruffalo Arena whilst enjoying treats from Gruffalo Bites! Claim your free child ticket NOW!. Plus all the great entertainment you expect from Chessington Resort. In addition, you can use your ticket to access over 40 rides and attractions in 10 themed lands across the resort. You and your kids will love petting animals, the Zufari and SEA LIFE centre with over 1,000 animals – the Chessington Resort offers a world of excitement for the whole family. 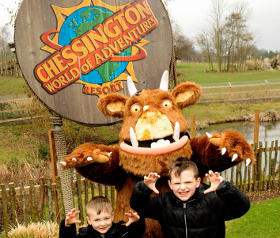 Read our Chessington World Of Adventures Day Out review. Not a member of KidStart? Don’t worry if you are not a member of KidStart – it’s free to join! All you need to do is sign up for free here before claiming your ticket. KidStart is the best tool to collect free savings for your little ones – every time you shop online at our well known 1,500 retailers, a percentage of your spending goes straight to your kid’s savings account. You’ll get free savings for your kids every time you shop at Amazon, John Lewis, Argos and more. Get up to £10 back on your groceries, up to £13 back on health and beauty, up to 6.5% back on fashion or up to 7% back on holidays. It’s as easy as downloading your unique code from the KidStart website. It then can be used online at Chessington.com to claim a free child entry ticket for each adult ticket that you buy. Each member has a unique code, and it can be used to claim up to 2 free child tickets when buying 2 adult tickets. That’s one free child ticket for each adult ticket purchased – it could save you up to £90! The free tickets can be used in 2017 when Chessington is open (from 18th March 2017 until 31st October 2017). Please check full T&Cs here. Claim your free child ticket NOW! Tell us, are you as excited as us to meet Gruffalo?